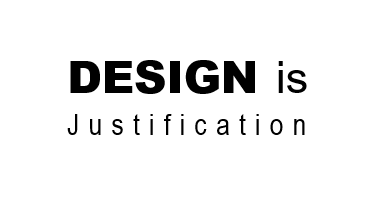 I don’t consider myself a designer, not even particularly good at designing anything, really. However when developing dashboards or preparing presentations of any kind, I have to make design choices at every step. What helps me a lot is how I approach those choices and the decisions that I take. I do know about basic design principles. I know about white space, about limited use of colour. I know the preattentive attributes and the general principles of visual best practise. I also know the principles of aerodynamics and jet engines but it doesn’t mean I could build a plane or a rocket! Especially in the beginning I had a hard time coming up with dashboards which can be considered “designed” and working with dashboards from different business analysts every day makes me think that many people feel the same. Many people – at least initially – might approach design like they approached the decoration of their teenager room: “I like this, so I want it here! Next to this other thing that I also like”. This works well if you are the only one living with this set up and if you can change it at any time when you find something better. For external people however this might be a whole different story. Did you ever sleep in a room with a loud, ticking analogue clock? Or the bright, digital display of a digital one? The problem with personal preferences is…that they are personal. And while every visualisation will have some personal choice to it, the majority of decisions should be taken with one key question in mind: Does this help to communicate my story to my audience? The form [of the visualisation] should be constrained by the function of your presentation. There may be more than one form a data set can adopt so that readers can perform operations with it and extract meanings, but the data cannot adopt any form. Choosing visual shapes to encode information should not be based on aesthetics and personal taste alone. “Not basing them on personal taste alone” implies there is a set of rules which we can use to chose the right visual for a given purpose but especially in the beginning, those rules might be unknown or unclear if you don’t instantly start researching visual best practise. How can you still end up with dashboards that work well? If the labels had the colour of the mark, the attribution would be easier. If the filter was above the graph rather than below, the flow of the screen would be nicer. Because it has always been blue! Because it had to go somewhere! Because I thought it might be useful! Those answers might not always be bad; sometimes it really doesn’t matter if you use one colour or the other. Sometimes it’s a matter of choice where to put a legend, in any case however if you can reasonably justify one decision, this one should always be preferred over one which is “only based on aesthetics and personal taste alone“! And if you come across somebody who can give you better arguments against your choice and for another, you should probably take their advise and learn from it! The audience quickly let me know my chart choice was a big no no. Unfortunately I hadn’t realized my mistake prior to ascending the stage stairs to what was sure to be a roast. His personal justification was overthrown by the collective experience of the audience. Granted, not many people will find themselves in a similar situation but try it yourself with your partner, parent, child, friend or anybody else. Show them your dashboard and ask if they understand it. More often than not you will get really useful feedback. Often, my concentration on visual best practise, makes me forget that for example, people might never have seen a bump chart before so they don’t know how to read it. If you create a dashboard, in the best case you should be able to justify every and any decision you take. But if somebody gives you a better reason to do it differently, you should be confident enough to accept this and change it accordingly. This helped me a lot to create dashboards which are useful, insightful and don’t look like the default Tableau graphs. I try to do it as much as possible and try to consciously think about all my choices. I will start taking apart some of my dashboards here and try to explain why I did, what I did. Let me know if I miss something or if you would argue against any of my choices.